Bioenergy Day 2017 is Next Week! Thank you to all who have registered to host an event for the 5th Annual Bioenergy Day next week! We're on track for record participation levels this year. If you are hosting an event, please check the Bioenergy Day website to ensure that we have listed your information accurately. This year, we are especially highlighting the economic benefits of bioenergy. The presence of bioenergy in a community creates jobs, enhances revenue and forest products markets, and reduces waste. 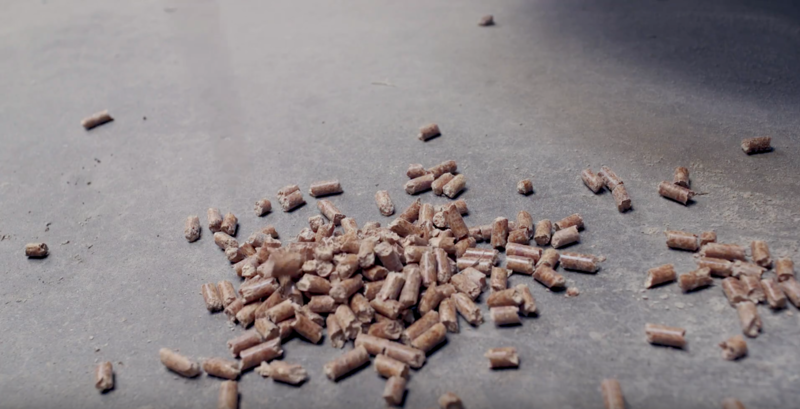 Our video on bioenergy, forest products and forestry in Northwestern Montana will illustrate how manufacturers convert leftover fuels into energy. Don't forget to share photos, media articles and other information with Carrie Annand to be posted on the Bioenergy Day website and shared on social media. As widely-anticipated, this week EPA Administrator Scott Pruitt signed a proposed rule that would repeal the Clean Power Plan (CPP). The notice indicates that the EPA believes the CPP exceeded EPA's authority under the Clean Air Act to identify the "Best System of Emission Reduction" (BSER). Specifically, two of the CPP's three "building blocks" constituted measures that went beyond the source and were designed to shift generation across the electric grid to renewable energy and natural gas. The proposed rule explains why this is a departure from EPA's previous practice and beyond its CAA authority. The proposal also indicates that EPA will issue an Advanced Notice of Proposed Rulemaking (ANPRM) that will seek information on systems of emissions reduction that are consistent with EPA's current interpretation of its authority. The agency also released a fact sheet on the proposal to repeal the CPP. Comments are due 60 days from the date of publication of the notice in the Federal Register. In the Regulatory Impact Analysis (RIA), EPA changed its approach to the "social cost of carbon" and how/whether to consider the previously significant co-benefits from reducing fine particulate matter emissions. We will keep you apprised of developments on this issue. The U.S. Energy Information Administration has released the October edition of its Short-Term Energy Outlook and Winter Fuels Outlook, predicting average household expenditures for all major home heating fuels will rise this winter due to expected colder weather and higher energy costs. According to the EIA, natural gas expenditures are expected to rise by 12 percent, home heating oil by 17 percent, electricity by 8 percent and propane by 18 percent. Most of the increase is attributed to colder weather, rather than higher energy costs. The EIA said a warmer-than-forecast winter would see lower increases in expenditures, while a colder-than-forecast winter would see higher increases in expenditures. Regarding wood heating, the Winter Fuels Outlook cites the U.S. Census Bureau's American Community Survey as finding approximately 2.2 million, or 2 percent, of U.S. households used cord wood or wood pellets as a primary residential space-heating fuel in 2016. The EIA also said its Residential Energy Consumption Survey estimates an additional 9.3 million, or 8 percent, of U.S. households use wood as a secondary source of heat, making wood second only to electricity as a supplemental heating fuel in 2015. According to the EIA, one in four rural households used wood for primary or secondary space heating in 2015, compared to 6 percent of urban households. The EIA said wood use was most common in New England, where 20 percent of households used wood. The STEO currently estimates nearly 2.23 million households are expected to use wood as a primary space heating fuel during the 2017-'18 heating season, down 1.7 percent when compared to last winter. This includes 388,000 households in the Northeast, down 12.1 percent; 553,000 households in the Midwest, down 2.3 percent; 569,000 households in the South, up 4.4 percent; and 718,000 households in the West, up 0.7 percent. Please visit Biomass Magazine to view the full article by Erin Voegele. Plan ahead for pellet, barbecue and forestry industry events! Be sure to check our updated online calendar with information on many events happening during the remainder of 2017 and into 2018. Most important, mark your calendars for next year's PFI events! If our calendar is missing any events that you're planning to attend, please send an email to Carrie. We want to see photos of what's happening with the pellet fuels industry in your neck of the woods. Send us photos with captions - facilities, retailers, production, appliances, happy customers! We'll run the photos in a future edition of Pellet Wire. The 2017 Bioenergy Day video has been released! Produced in partnership with the U.S. Forest Service, the video showcases how bioenergy supports the economy and promotes good forest management practices in Northwest Montana. Please see below for more information on how you can be a part of Bioenergy Day 2017. You probably don't want to think about it. But it's almost time to fire up the furnace. A regional not-for-profit is trying to get more people to consider next generation wood pellet furnaces to heat their homes. If you live outside the North Country's cities and villages, you most likely heat with oil, propane, or an older wood boiler. The Northern Forest Center is trying to get more people to invest in an alternative: state-of-the-art wood pellet boilers, with digital thermostats, smartphone apps for remote control, and bulk hoppers so you don't have to mess with big bags of pellets. It's time to think outside the wooden box if countries like Canada want to cut down on the use of fossil fuels as a energy and heat source, says Kai Mykkanen, the minister of foreign trade and development in Finland, who was speaking Wednesday in Thunder Bay, Ont., at the Biomass North conference. "We never found oil and that's why we were forced to concentrate and focus more on how we can actually increase the value-added," he said. In Canada, trees tend to be used for one purpose only, be it as lumber or in pulp and paper manufacturing. But in Finland, the wood is used in both those areas as well as in energy production, and as a fuel source. Northwestern Ontario is poised to play a pivotal role in the emerging biomass economy according to Dawn Lambe the executive director of Biomass North Development. Biomass North Forum, a two-day conference in Thunder Bay, started Wednesday with a large delegation from Finland taking part. "In the north, our forestry industry has been in transformation. It has been a period of incredible confusion, rebirth and regrowth," Lambe told The Chronicle-Journal. "The north, I think, is in a unique position to define what's going to happen with their forest in the future," she said.